Approval at institutional lenders and at big banks ($10 billion+ in assets) increased in May. Meanwhile, credit unions, small banks and alternative lenders recorded a drop in their approval rates. Those were the findings of Biz2Credit, the online resource for small business finance, in their monthly lending index released this month. 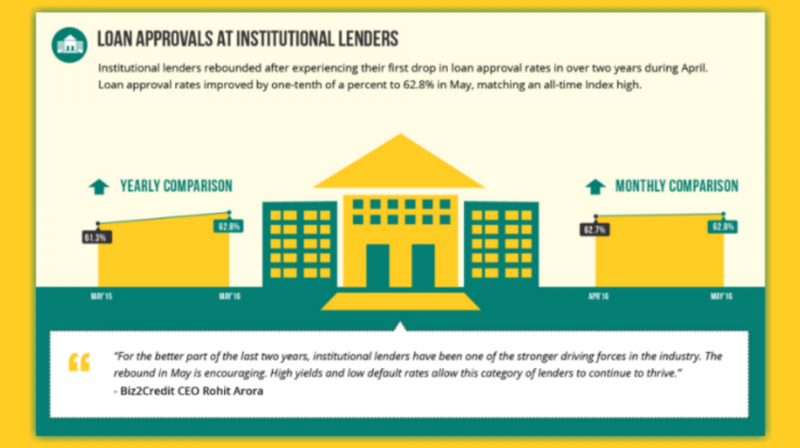 In its review Biz2Credit found that loan approval rates at institutional lenders rebounded from their first drop in over two years. The one-tenth of a percent gain to 62.8 percent matched an all-time index high. “For the better part of the last two years, institutional lenders have been one of the stronger driving forces in the industry. The rebound in May is encouraging. High yields and low default rates allow this category of lenders to continue to thrive,” stated Biz2Credit CEO Rohit Arora. Small business loans at big banks also recorded a significant increase, up one-tenth of a percent to reach an all-time index high of 23.2 percent. It was the seventh time in the last nine months that lending approval rates increased at big banks and in a year-to-year comparison, they are now approving six percent more funding requests on average. “Big banks have demonstrated their commitment to small business lending over the last two years with investments in automation that have resulted in higher profit margins,” Arora said. 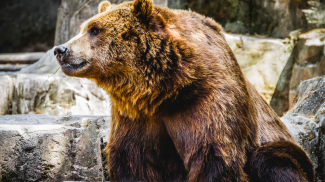 Alternative lenders on the other hand took a hit in May, only approving on average 60 percent of small business loan requests. For the past two and a half years the alternative lender’s approval rate has declined by more than 7 percent from 67.3 percent to the current 60 percent. More so, for the fourth time in the last five months, the loan approval rates at small banks dipped to 48.7 percent. “As big players such as J.P. Morgan and Wells Fargo expand in small business lending, it continues to negatively impact small banks. When lenders invest in technology, small business owners can now receive funding in a matter of days. This has led to higher quality borrowers gravitating to the larger financial institutions” Arora stated. Like alternative lenders and small banks, credit unions had also continued their long decline in loan approval rates, only approving 41.7 percent in May, going down two tenths of a percent from April. For the past year the approval rates at credit unions have dropped every month. 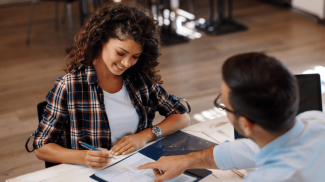 From Biz2Credit’s report, it is evident that small business owners that are looking to lend would have a better chance of getting approved by institutional lenders and big banks.